Sony Ericcson’s Newest Handset Nozomi or Arc-HD? Well after so many rumors and sneak peeks it has been confirmed that a new handset from Sony Ericsson is on its way and will be showcased in the upcoming CES 2012. It has been rumored that the new phone will be called Arc-HD or Nozomi and its still unclear what the actual name of the phone will be. The phone has been enjoying constant leaks through various sources that its possible that nothing will be a surprise when its finally unveiled in the CES. Well it is sad to say that a phone launching as the flagship of famous Sony Ericsson company will be sporting a dual core whereas other manufacturers have already stepped into the territory of quad core with increased RAM and specs. But actually Sony Ericsson is aiming for that market segment which just comes below the high end smartphones which are released by Samsung and HTC. Most people wouldn’t want to shell want so much cash on a smartphone rather than on a laptop so Sony Ericsson Nozomi or Arc-HD caters to those people. This is interesting because the phone will be able to rival other dual core phones with its impressive display and camera performance while leaving the quad core beasts in their own territory. Well recently there were some leaks of the nozomi that confirmed the specification of the device along with the rumor that it will be running Android 2.3.7 instead of Android 4.0. Its highly unlikely that this will be the case as any device that will be launched this year will be coming with Android 4.0 preinstalled. Perhaps Sony Ericsson has planned an upgrade path for the device or when the device hits the stores it will come with Android 4.0 preinstalled. Along with the leaks some quadrant benchmark test were also leaked and its pretty interesting because it shows that the phone performs quite well even though only single core was running. But do not be worried when the final device is ready for marketing all the software tweaks would have been carried out making sure that the phone is running at its maximum specification. Well the device will be officially unveiled at CES next week so that time it will be confirmed what kind of device this NOZOMI is. Will it stand up to the titans of year 2011 or will it fall. It wont be able to compete with the high end quad core droids that will be released by Samsung and HTC but it will cater to people who aren’t willing to spend much on a smartphone but at the same time have an awesome phone that doesn’t compromise on performance. 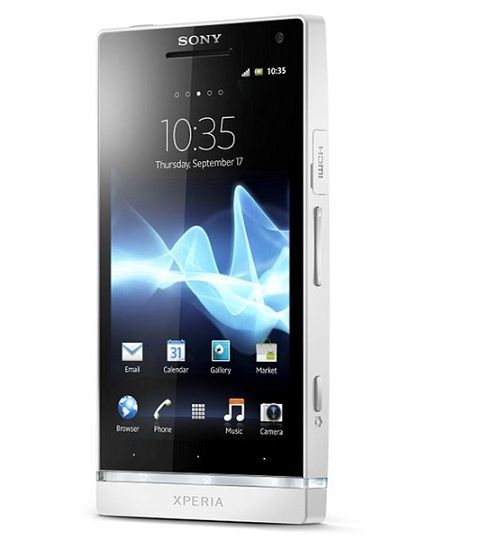 The rumor of this new handset is confirmed and it will be called Sony Ericsson Xperia S and will be showcased with all the details in this years MWC in February.